We support a number of charities by donating flights in the BWS hot air balloon and passenger rides in our track day car at Castle Combe. Our lead charity is Blood Bikes an emergency hospital courier service who provide a voluntary out of hours transport service to the NHS to carry urgent and emergency blood, blood derivatives, samples, donor breast milk for premature babies, Doctors notes, and urgently required theatre equipment, between hospitals. 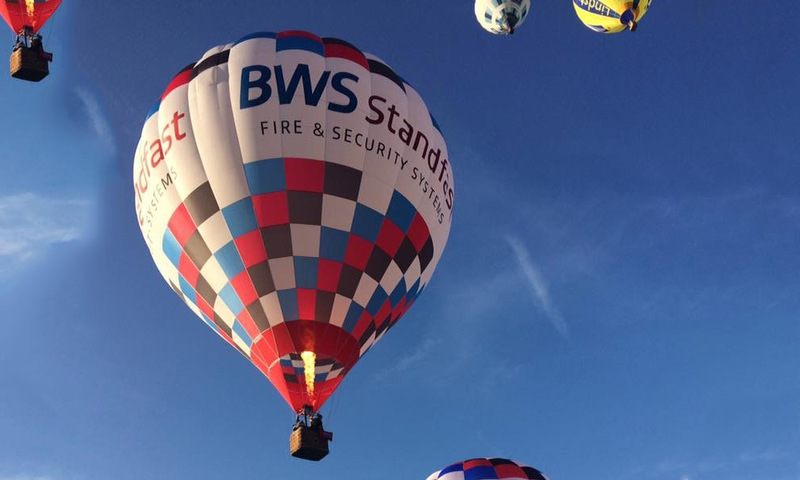 The BWS Balloon can be seen flying around Bristol and Bath, although it does go further afield when circumstances and invitations permit. Each year we have a limited supply of places for charities to fly, some of which are actually at the the Bath, Bristol and Tavistock balloon fiestas. By donating flights in the BWS balloon and passenger rides at track days we raise very much needed funds to support many charities such as Cancer Research, Hope For Tomorrow, Survive, World Challenge, Bath Cats & Dogs, Bone Cancer Research, Fight For Cancer, Blood Bikes, Bosom Buddies, RBH Hospital Fund, Rainbow Centre For Children, and many many more. Track days at Castle Combe are a regular monthly occurrence during the Spring, Summer and Autumn months and BWS offer charitable organisations the opportunity to take advantage of this event. We give free rides to charities so they can raffle or auction them to raise urgently needed cash. All our fire alarm and fire protection systems are to BS5839. We are accredited by the National Security Inspectorate (NSI) and all our fire systems are certificated by BAFE, the independent certification registration organisation for the fire protection industry. We are also members of the Safe Contractor Scheme, Constructionline, and EXOR.